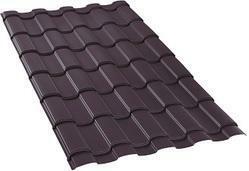 Dunes tile is the innovation in the roofing industry. it provides unmatched long-lasting performance. 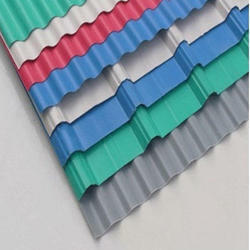 We have marked a distinct position in the market by offering excellent quality array of Building Roofing Sheets. Prime Roofing is fully insured for your safety. For your protection we are certified by the manufacturers of the products we install, which not only ensures the quality of our work, but gives the customer the opportunity to get additional warranty coverage from the manufacturer. Troughed sheets are widely used in residential and industrial purpose. Troughed sheets from Arya, is synonymous with the quality. Precisely roll formed by computerized roll forming machines ensure perfect seating.It is a value for money to the invester, no matter whether it is a terrace top shelter or construction fencing. -Geloy ASA resin (SABIC) imported from China. Ecoshield roof sheet is colorfast and weather-able. Application: prefabricated building, modular house, residential/ commercial building, carport, shed. Trapezoidal TAK are widely used as building and construction material. The trapezoidal TAK offered by us are durable, long lasting and safe.